Last month, the Trump FCC repealed net neutrality. Why? Well, the president seems to favor big business and what could help the carriers/ISPs more than giving them the ability to charge more for certain online content. Or it just could be Trump's obsession with reversing every regulation put in place by his predecessor, Barack Obama. It was the Obama FCC that put net neutrality in place. While the Senate is just one vote away from passing a resolution to restore net neutrality, the Congressional Review Act gives the Senate only 60 days to vote on reversing a decision made by an independent agency like the FCC. There are less than 30 days left on the clock to get this done. Even if the repeal sticks, AT&T is one carrier/ISP that says it will stay committed to an open internet. 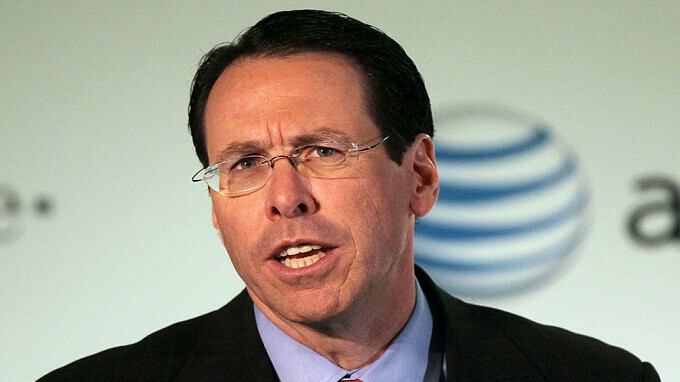 In an open letter penned by AT&T CEO Randall Stephenson and released today, the executive says that his company is committed to an open internet and does not block, censor, throttle, discriminate, or degrade network performance based on content. Stephenson adds that legislation is needed to prevent the changes to net neutrality that seems to accompany every new administration. Stephenson suggests that Congress pass an Internet Bill of Rights that "guarantees neutrality, transparency, openness, non-discrimination and privacy protection for all internet users." Having the CEOs of the major wireless operators and ISPs come forward to suggest that legislation be written to protect internet users could be one way to get the ball rolling. Kudos to AT&T and Mr. Stephenson for starting this off with his open letter. Now we have to see if any other industry executives step up to the plate. "AT&T is committed to an open internet. We don’t block websites. We don’t censor online content. And we don’t throttle, discriminate, or degrade network performance based on content. Period. The complete open letter can be read by clicking on the sourcelink.